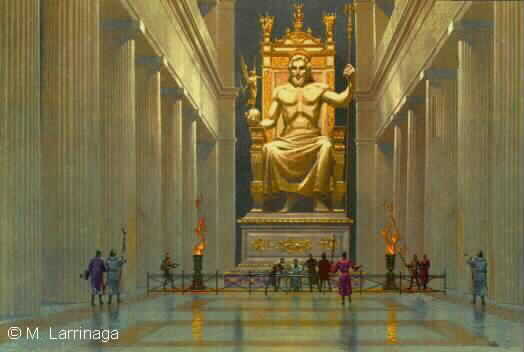 The statue of Zeus sitting on his throne was made of ivory and gold about 457 B.C. at Olympia which was the town where the ancient Olympic were held. The height of statue was 40 feet.